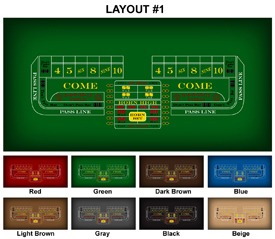 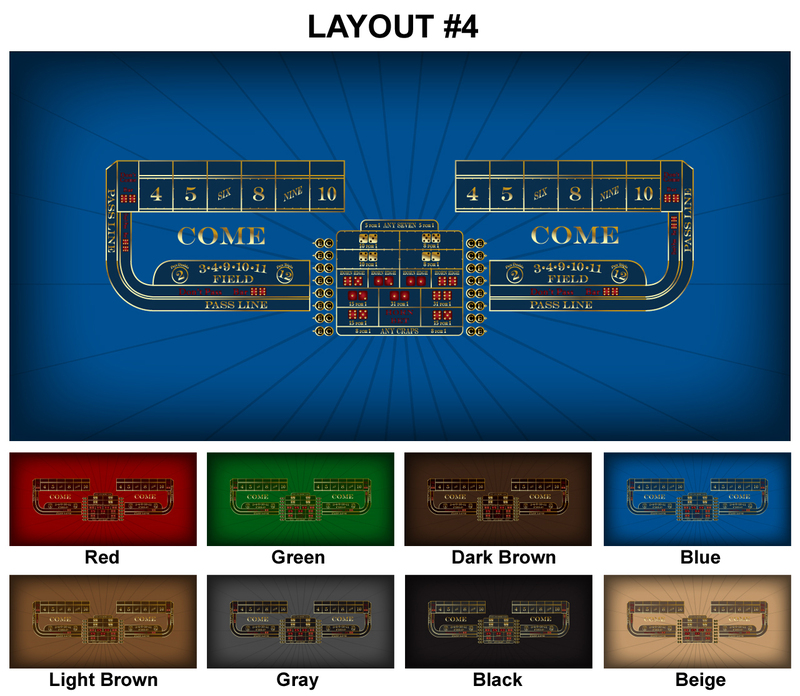 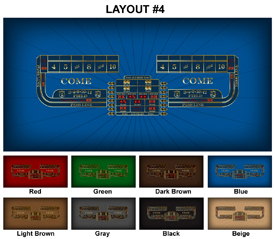 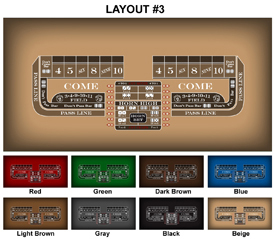 Custom Craps Table Layouts - CUSTOMIZABLE to suit any Design! 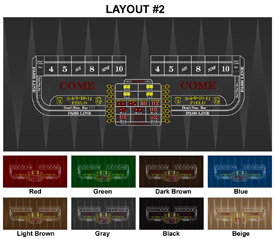 Custom gaming layouts utilizing the latest digital printing techniques will give your game table a look that can't be beat! 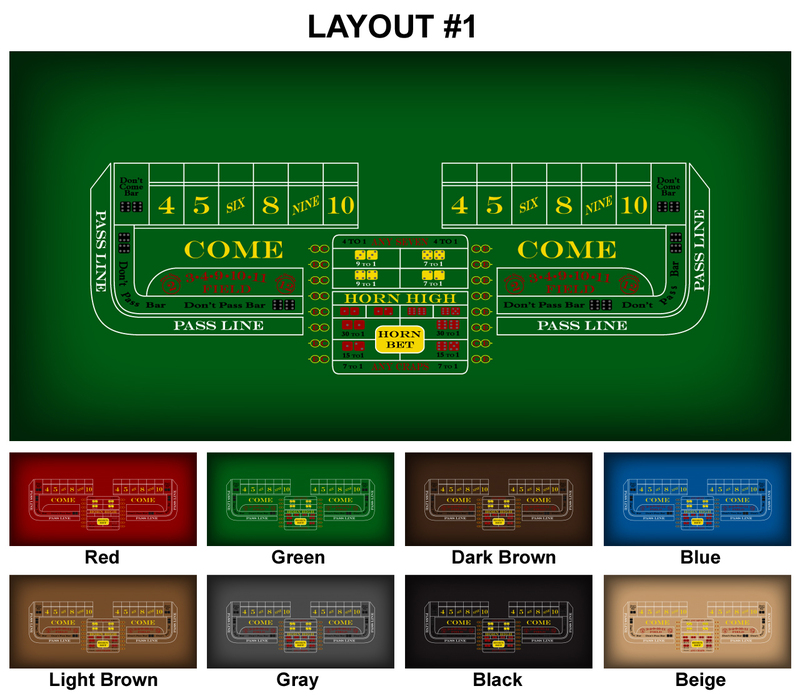 We can customize an existing design. 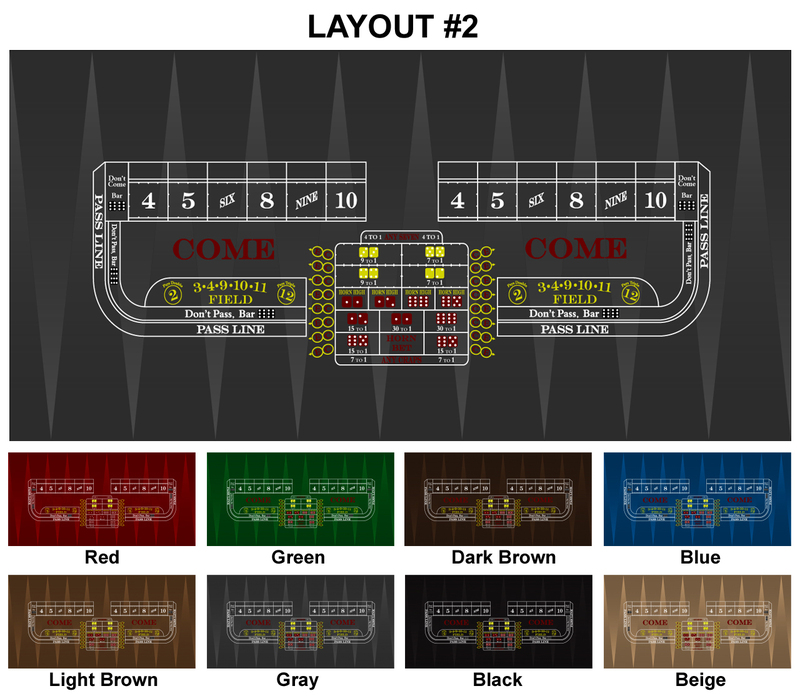 Note: This custom-made layout normally take 2-3 weeks for production, depending on the customization required, before being shipped out.